Facebook is one of the most important social media sites to excel in for your online business success due to the high population and the relevance and importance it can help provide when striving for better search engine rankings and brand exposure. It can be challenging to know how to increase Facebook engagement though. Use these tips to help. Make sure that your Facebook page has a clear objective so people can immediately know what to expect from you. Using the important keywords from your website can help with this. When you keep your page and content relevant to topics that are directly related to the resolutions your products and services offer, then people will know what to expect. For example, if you sell cake baking supplies, talking about cake recipes, celebrity bakers, staff’s baking picks and baking tips will probably be something that your followers can appreciate and expect from your brand. Going off topic from that will probably not be met well because as a brand you are expected to have some sort of consistency. For example, creating a post about the upcoming elections would probably end up going against your favor. When you are staying on task about your business and the topic it’s invested in then having a promotion strategy should be another goal because one reason people “Like” brands is in order to keep up with sales, contests and other events that are interest to them. If you never offer anything like that you can lose their interest. Consider occasionally offering discount codes, contests or sales to keep them more excited about engaging with your Facebook page. Just make sure you read Facebook guidelines about these so your page doesn’t get in trouble. Along with posting informative or entertaining news about your brand topic and staff, and having promotional, post highly sharable content. High quality images, infographics or videos are favorites for followers to quickly share with their own followers and the best ones can create a viral appeal. What would be most Liked and Shared by your followers depends on the topic of your Facebook page. 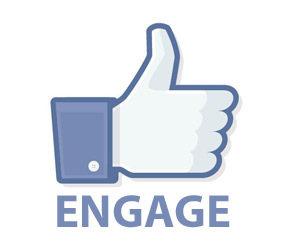 These strategies should find more followers engaging with your Facebook business page. Finally and just as important as what type of posts, promotional and sharable items you post, is to make sure and engage with your followers by responding to posts and finding other ways to recognize them. When your followers feel as if you notice and care about them, they are much more likely to stay engaged.